New Mexico State University graduate Alvy Ray Smith, who co-founded Pixar and shared in two Academy Awards for technical advances in digital media, visited NMSU in early December 2017. A highlight of his visit was a presentation he made – “A Quick Tour of the History of Pixels.” He was also honored as the Ingeniero Eminente at the College of Engineering Order of the Engineer/Sociadad Eminente graduation ceremony. Eminentes are recognized for accomplishments in their field and serve as role models for new graduates. Smith developed an industry-changing digital graphics technology concept and was a founding member of Lucasfilm in 1980. In 1986, he co-founded Pixar and in 1991, Smith founded Altamira, later acquired by Microsoft. Smith directed the first use of full computer graphics, the “Genesis Demo,” in a successful major motion picture, “Star Trek II: The Wrath of Khan,” while at Lucasfilm. Smith, who grew up in Clovis, New Mexico, worked as a junior engineer at the Physical Science Laboratory while earning his bachelor’s degree in electrical engineering at NMSU. He graduated with high honors in 1965 and went on to earn a master’s and doctorate degree in computer science at Stanford University. In 1999, he received an honorary doctorate from NMSU. 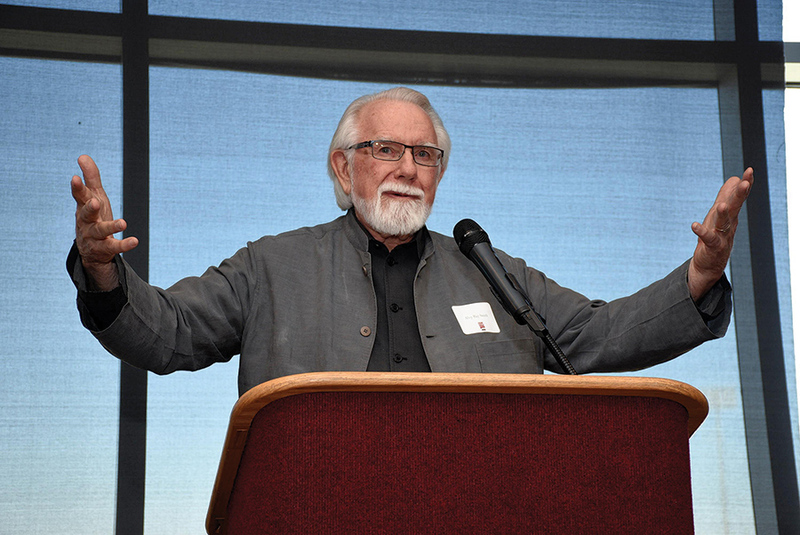 While visiting campus in December 2017, NMSU alumnus Alvy Ray Smith spoke at the Outstanding Graduates Fall Luncheon at the Stan Fulton Center.